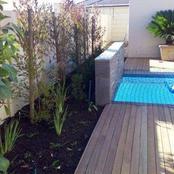 This outdoor space gets a massive revamp. 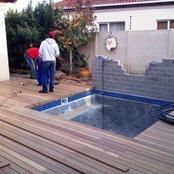 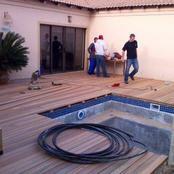 Small paving and lawn area goes and a new deck and pool are added. 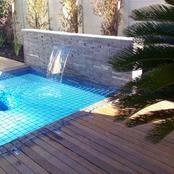 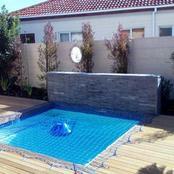 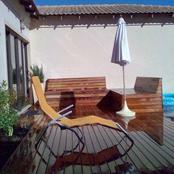 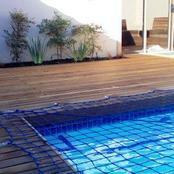 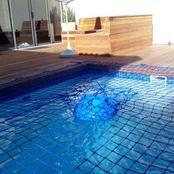 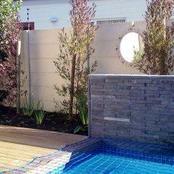 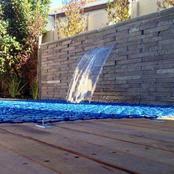 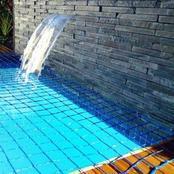 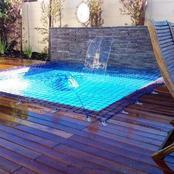 Pool by Exclusive Pools with Revelstone products used for the feature wall. 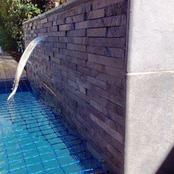 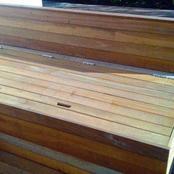 Letterbox water feature in feature wall creates a wonderful sound and provides privacy when talking outdoors. 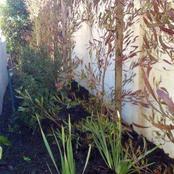 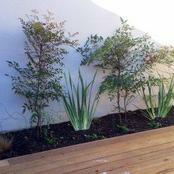 A mix of Indigenous and Exotic plants used. 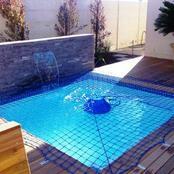 Existing Irrigation system gets a slight up-grade by us too.